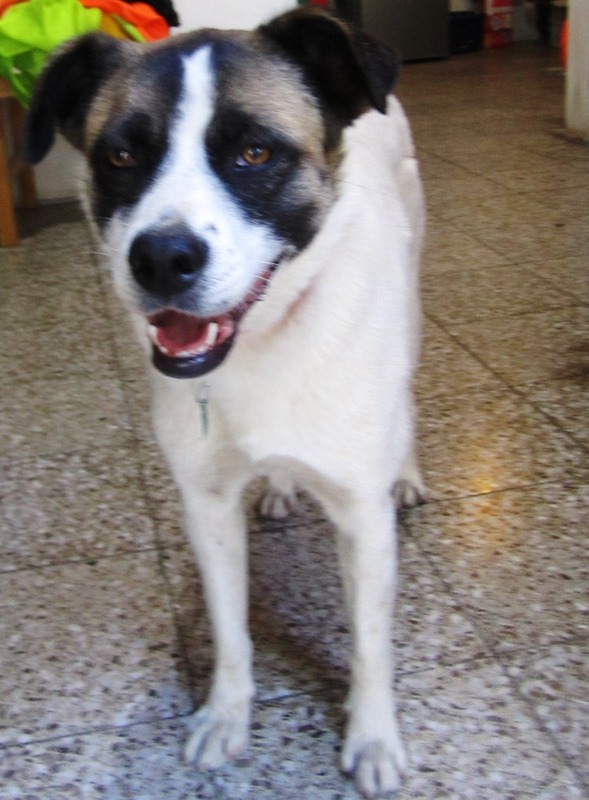 Manchitas, a beautiful girl who needs a forever home — quickly! Manchitas has been a regular visitor at a local school for her entire life. She showed up in the callejon (alleyway) behind the main building over 2 years ago. Julia S., a former Ayuda volunteer and teacher at the school fell in love with her but couldn’t take another dog into her own home fulltime. We discussed the circumstances and decided that Manchitas was capable of remaining on the street if she received daily care. She received our standard care package of treatments that includes sterilization and Julia pledged to monitor as well as feed her. By the time Julia moved back to the States over a year later, Brooke C. and Nancy P. also teachers at the small private school took over the duty of caring for Manchitas. She was thriving and had made many friends around the school and throughout the community. Unfortunately, Manchitas has developed a couple of behavioral problems that now makes it necessary to find her a permanent, off-the-street home. She has begun to chase people on bikes and bark at strangers (mostly men) who come near the school. While she continues to get along well with kids, people she knows and most other dogs these behavoirs have put her in jeopardy with the school’s administration. There have been threats made towards Manchitas. This is now a desperate situation. Please help us find Manchitas a place to live in peace. Next postMini Clinics — Lifelines for Ayuda!